Valve works closely with a number of composers and has commissioned new works for the instrument, most recently premiering concertos by Eero Hämeenniemi and Olli Mustonen. 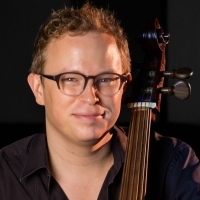 In 2006, Valve was appointed Principal Cello of the Australian Chamber Orchestra with whom he frequently appears as a soloist. Valve is a founding member of Jousia Ensemble and Jousia Quartet. Valve plays a Brothers Amati cello from 1616, kindly on loan from the ACO Instrument fund.